The weather is starting to warm up (well, in some places anyway!) as Spring is here. It is time to get OUTDOORS with your little ones and PLAY! Every activity and routine in an opportunity for your toddler or preschooler to learn new vocabulary and playing outside in no exception. 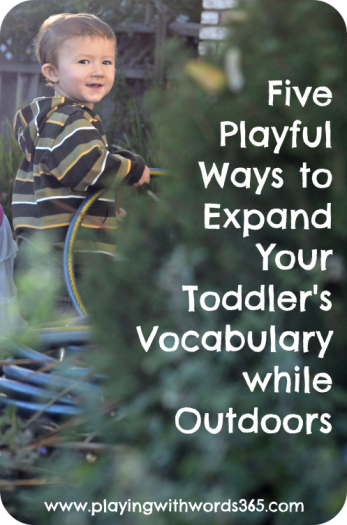 Here are 5 playful ways to expand your child’s vocabulary while OUTDOORS! The vocabulary possibilities increase when you use several different types of bubble toys. 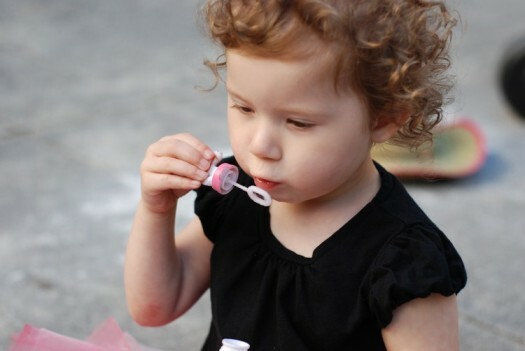 For example, you can use bubble wands of different shapes and sizes and have your child request the type he/she would like to use. You can also use bubble guns and bubble machines to create a LOT of bubbles at one time, and have your child use a small net to try to “catch” the bubbles (words like catch, pop, get, jump, as well as locative concepts can be used in this game). 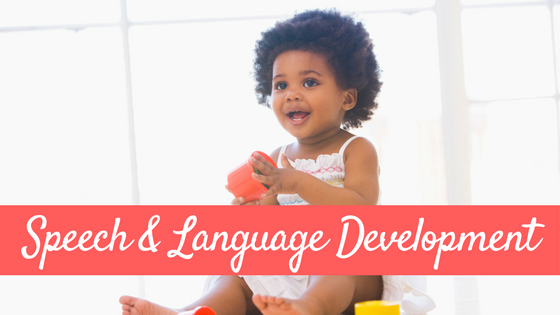 Becca from Child Talk wrote an excellent post on using bubbles for language development, go check it out HERE! 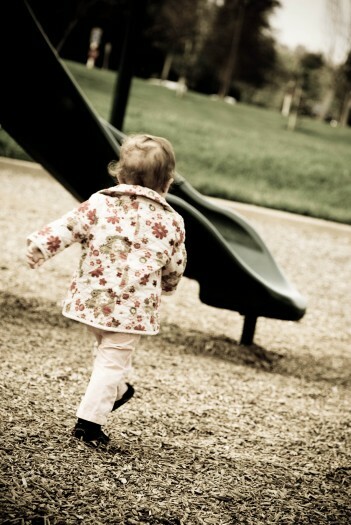 Get out of the house and go to a nearby park and let your child get some gross motor practice in while learning new vocabulary! The park is a great place to work on learning actions words like climb, run, walk, crawl, hang, etc as well for learning the names of all the equipment. 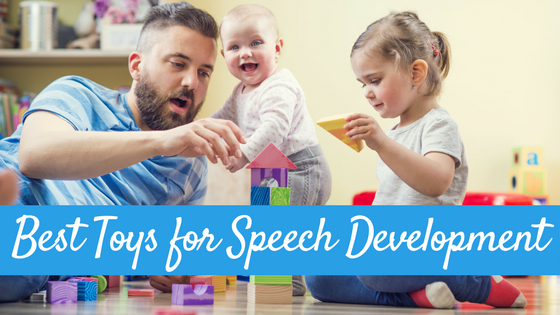 I wrote an entire post on this subject and you can read it HERE for some great tips about expanding speech and language when at the park! My daughter and son LOVE this game! 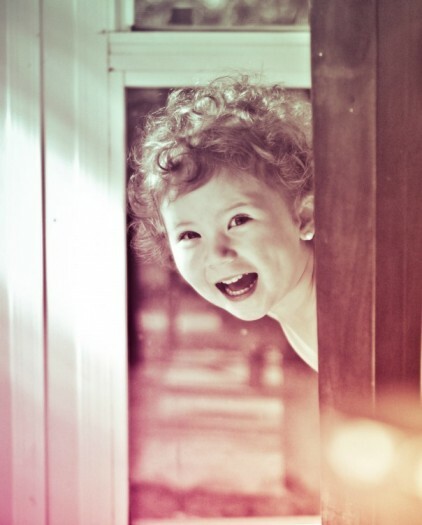 A simple game of hide and seek provides so many opportunities for vocabulary development! Obviously, locative concepts such as in, out, under, on, through, up and down (among others) will be used a lot as you talk about hiding spots. However hide and seek also provides opportunities for learning the names of the items we are hiding in and around. Be creative (and of course safe!) in your hiding spots for more vocabulary opportunities. Words like hide, find, seek, go, and numbers (counting) are all ones used frequently in this game. Another favorite around here. 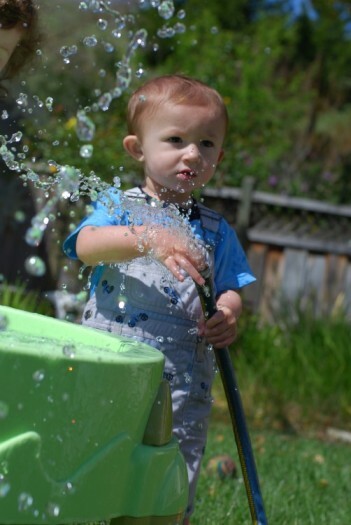 Children LOVE playing with water and a simple water table (or just a big bucket) can provide hours and hours of fun and opportunities for vocabulary development. Make sure to have lots of different containers (buckets, spoons, cups, etc) so your children can pour the water into different containers. Letting them play a bit with the hose (as you see my son doing above) is also great fun and you can even have them try to spray different things in the yard with the hose while naming them! 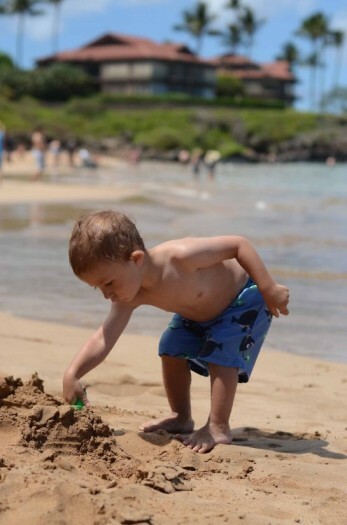 You don’t have to be in Maui to play in the sand (like my son is above)! Head to your local park or buy some sand and put in a big under-the-bed tote outdoors and let your kids PLAY! Like the water table, make sure to have lots of things for them to play with like cups, bowls, shovels, hoes, buckets, etc. Add a little water to the sand to make it more moldable. Some vocabulary your child can learn include words like sand, dig, hole, mound, hill, castle, shovel, hoe, water, build, etc. When playing with your child, make sure to follow his lead. If he isn’t interested in the activity, he probably won’t learn much from it so move on. 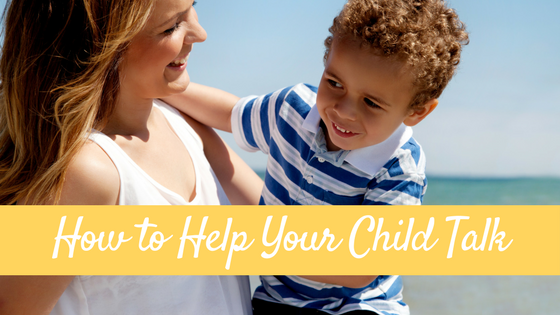 Don’t let playing with your child become a chore. 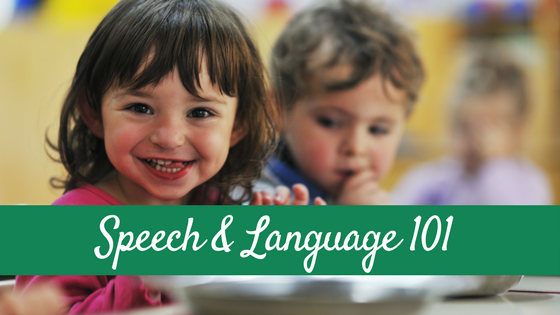 If you seem excited and interested in the activity, the more likely your child will too! So get EXCITED about new and not-so-new activities and try to have FUN! Remember to not ask too many questions. Try to keep your comment to question ratio between 2:1 to 4:1 (2-4 comments/statements for every question you ask your child). 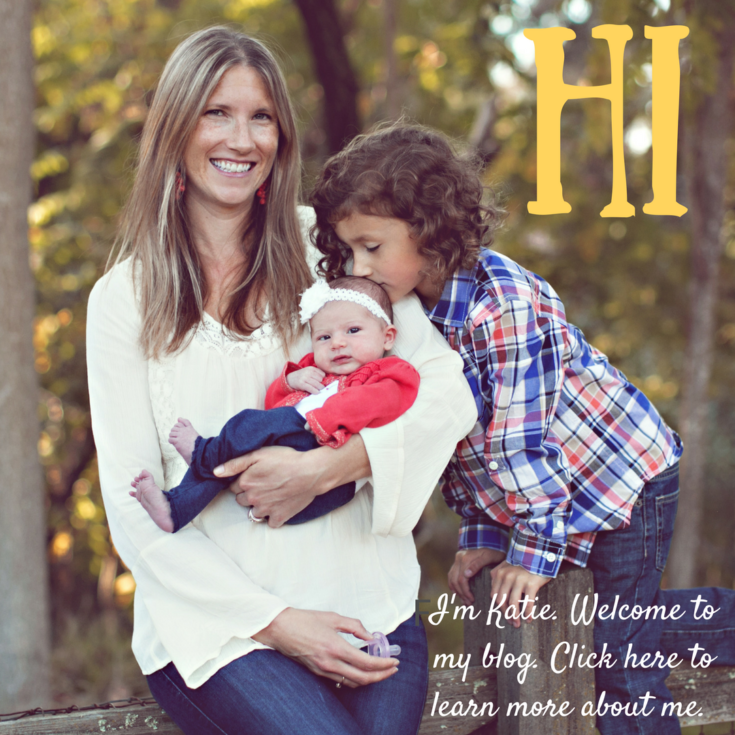 For more information, check out my posts Questions: Why Less is More Part ONE and Part TWO. 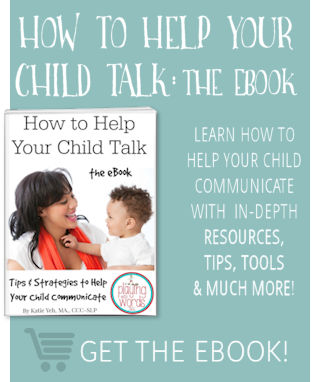 For more tips, check out my How to Help Your Child Talk page.